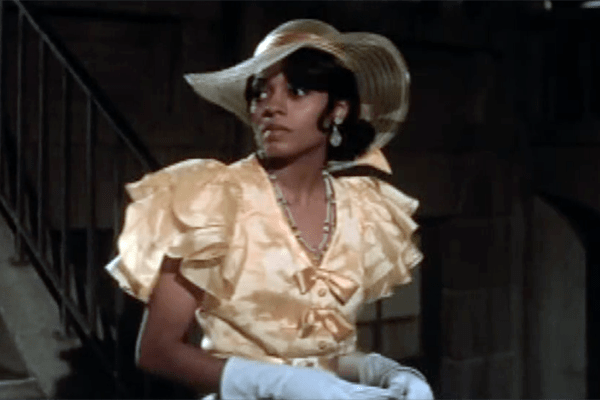 The Material Girl’s early attempt at 1930s in Shanghai Surprise was awful (and frankly, most of her acting has been crap), but somehow she brought both the character of Peron and the Andrew Lloyd Weber music to life on screen. Mr. Sumner does a little scenery-chewing in this version of The Bride of Frankenstein. It’s not Shakespeare, but it’s a pretty diversion. Diva Ross delivers a gut-wrenching performance showing Holiday’s rise to fame and fall to drug addiction. This film practically created the template for all music biopics. 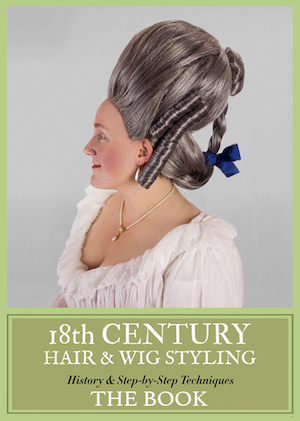 This pop diva totally holds her own alongside theater and film divas Judi Dench, Joan Plowright, and Maggie Smith. 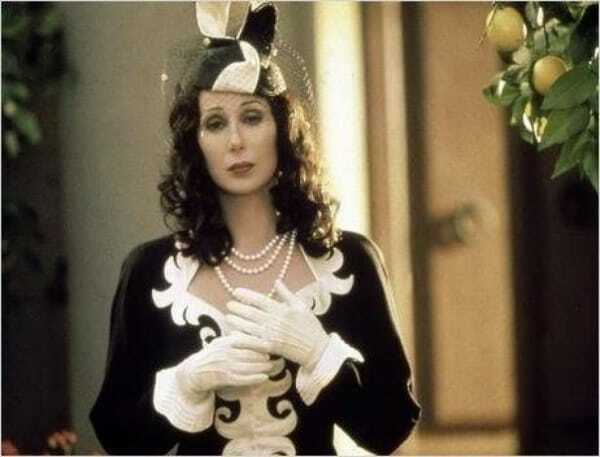 Plus, Cher, playing a wealthy Jewish-American ex-pat, gets a fabulous wardrobe. 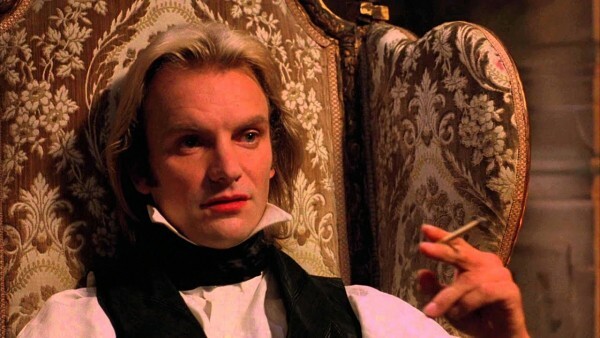 Who are your favorite musicians who’ve showed up in historical costume movies and TV shows? It is true about Bowie. After he left to return to his home dimension, our reality started to crumble at an exponential rate. Bowie could do it all. The world is a sadder place without him and Freddy. Cher is amazing in Tea with Mussolini and Madonna was Evita. Only wished Me LuPone could have done the movie. 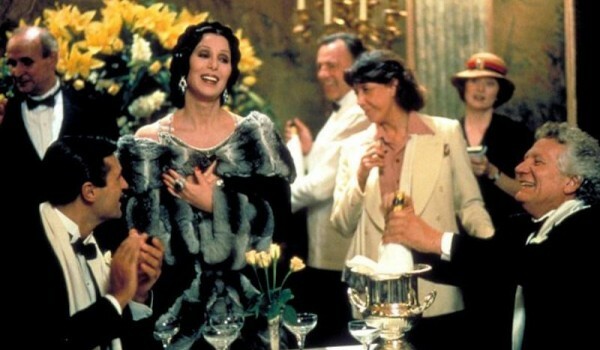 Cher’s wardrobe in Tea with Mussolini deserves to be up there in the Cinematic Sartorial Wardrobe Pantheon Rosalind Russell’s Mame, Vivien Leigh Scarlet O’Hara and Carrie Fisher’s Princess Leia. It’s just that good. If I could get the movie on digital, I’d screencap it & do a full review! I can find it on DVD but I don’t currently have a player I can connect to my computer (just moved & lost some tech tools I had access to in my old house). 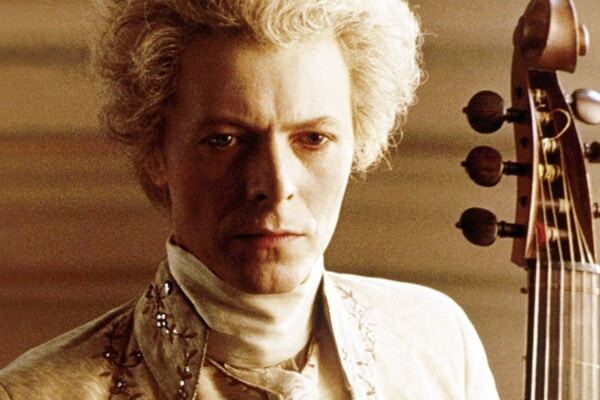 Wasn’t David Bowie also in The Prestige? Fantastical I know, but very much a period film. It wasn’t a flashy role, though. I’m still sitting here waiting for when Lady Gaga eventually does something set in the 40’s. Given her collaborations with Tony Bennett, I’m pretty sure it’s only a matter of time. A little later than the 40s, but she’d make a perfect Keely Smith in a hypothetical Smith/Louis Prima biopic. I know it’s a bad series, but Lady Gaga did a season of AHS:Hotel where she did do flashbacks to the 30’s and 40’s. She is made to wear those fashions. Click his name (it’s a link) for a full list of historical movies he’s been in – we did a round-up when he passed from this earthly plane to the stars. 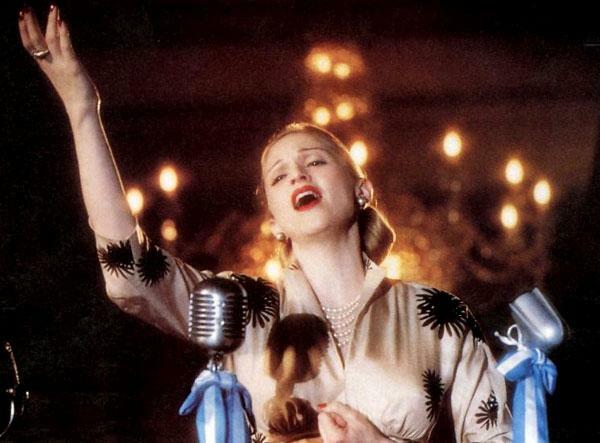 I actually REALLY like Madonna in Evita. I think she did a better job than the actress who just headlined the Broadway revival a few years back!